Welcome to Oaks Cottage, a delightful self contained unit located to the rear of our villa. Although attached to our villa, Oaks Cottage is completely independent and privately accessed. It is set in 3.5 acres of gardens and small paddocks, in the heart of the beautiful and thriving rural Moutere Valley. We have 2 very friendly Berkshire pigs Beatrice and Barnaby and a small brood of free range bantoms and chickens and the turkeys Miranda and Gary, guests are welcome to eggs and garden produce when available. The stunning area is home to the Moutere Artisans with their boutique wines, olive oil, cider, cheeses, arts and crafts, as well as many fayres and festivals including the Sarau Festival which showcases the local producers, arts and crafts. We are ideally placed for exploring the Top of the South Island with access to the 'Great Taste Trail' only minutes away and 3 national parks on our doorstep, Abel Tasman, Kahurangi and the Nelson Lakes and Rainbow ski field, with the vibrant and cosmopolitan city of Nelson only half an hour away. The thriving centres of Mapua, Upper Moutere and Motueka are all within 5 to 10 minutes drive, boasting cafes and restaurants, wine bars, micro breweries, boutique shops and numerous arts and crafts. Our closest beach is at Kina, this stunning quiet and expansive beach is only minutes by car, just beyond the lovely little village of Tasman where you can grab a great coffee or better still a real fruit ice cream to enjoy, while walking along this often deserted beach. Further more, only 25 minutes drive away are the stunning golden beaches of Kaiteriteri and Marahau, the gateway to Abel Tasman National Park. A hearty welcome is assured from our friendly dog Jasper and Gary the Turkey and you may also be paid a visit from one of our friendly cats. We know you will have a lovely time exploring the area and look forward to your visit. Guests have full use of laundry facilities. I was born and brought up in North Yorkshire in England, but emigrated to New Zealand with my husband Sim and our now 3 adult children in 2007. Sim went from an RAF Officer to Sales and Marketing Manager at a wholesale nursery and loves it. A nurse by profession, I continue to practise part time at Nelson Hospital and manage our little piece of paradise and self catering business- Oaks Cottage. I love socialising with family and friends, tramping and walking our old dog Jasper especially on Kina beach. I enjoy reading, listening to music, various crafts and developing my ever changing garden. Of course my other passion is travel. There's nothing better than planning the next aventure, exploring new destinations and rediscovering old haunts too. I dont have a motto as such, but do quite like to go with the flow, think variety is the spice of life and try not to worry about things I can't change. We fell in love the area whilst visiting New Zealand in 2004 and knew that if we were to emigrate, we would make the Moutere our home. The Valley is a wonderful community and remains very quiet and rural, has amazing views of the Western Ranges (mountains) yet is so close to the beautiful coast and its beaches. Our old Villa with its interesting and quirky character is quite unique, it has lots of beautiful mature trees surrounding it and old gardens which I continue to dig out and develop. Oaks Cottage enjoys this beautiful peaceful garden setting, within a rural idyll, with expansive Mountian views. The Seperate shower room is crisp and clean, decorated in white with feature black and white floor tiles. There is an overhead heater/fan/light unit in addition to the heated towel rail, to ensure you and your towels are warm and dry. Shower gel, handwash, shampoo and toilet rolls are included. There is also a first aid kit, cleaning products, suntan lotion and insect repellent in the vanity cabinet. In addition to the log burner, there is a radiator in both the bedroom and open plan living area. There is a dedicated space for your use under the carport. Wifi is available this high speed rural broadband, the password can be found in the cottage arrival booklet. Help yourself to firewood, this is located in the woodshed next to the carport. The open plan living area is bright and cosy with quality furnishings and 2 very comfortable sofas. French doors lead onto a private courtyard with table and chairs and a gas BBQ. We provide the following staples: Local quality extra virgin olive oil, a selection of teas, ground and instant coffee, herbs, spices, pasta, rice, salt and pepper. The kitchen area has everything you need, including fresh eggs when available and milk on arrival for that much needed cuppa! SKY TV with sports package included. Private gravelled courtyard with table and chairs and 2 comfy loungers. Tennis rackets are available and the nearest public court is at the Community Hills centre at Upper Moutere. I wish I could live in this cottage every year! It is so charming and on a beautiful property. We loved the area....the Riverside Cafe down the road was a gem. Also being able to get to the Able Tasmin trail, beaches, bike trail, vineyards, the local pub was great. But our favorite time was just being on the property at "our" little home, or taking Jasper the dog out for a walk! I am determined we will make our way back here from our home in Maine, USA, for a longer visit! Jac was very welcoming and the fresh eggs were a much enjoyed bonus. A very relaxing cottage. Unfortunately we had to return to Wellington earlier than expected so cut our stay short. Great location, everything within a short driving distance. Close to Motueka, Takaka and Nelson. Quiet and beautiful cottage, well equipped to meet our needs. We managed to make a full Christmas lunch with no trouble. Would recommend. Would stay again. Delightful cottage in rural Upper Moutere on a lovely property. Beautifully decorated with all the essentials. 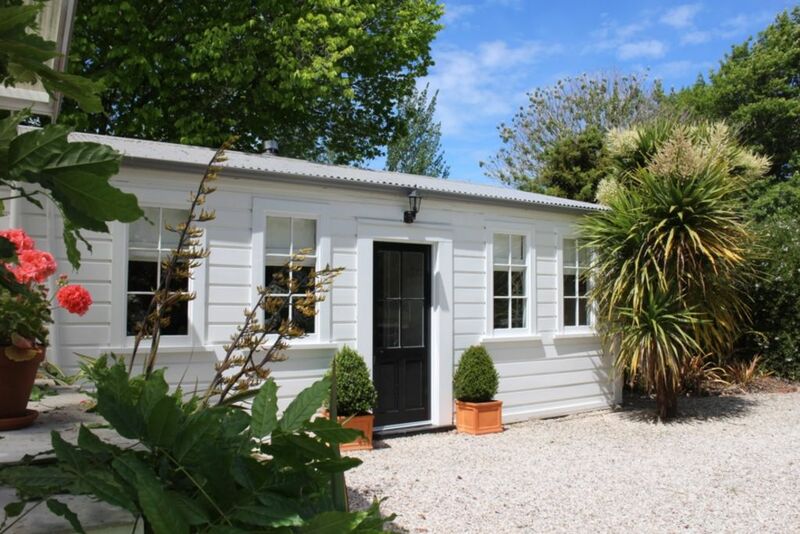 Situated within close proximity to Abel Tasman National Park. Jac and Mark very helpful and lovely hosts. Extraordinarily special cottage, setting, location and hosts. The cottage, its terrace, the decor and amenities were perfect and thoughtfully crafted and selected. Perfect location and perfect cottage. Perfect location and perfect cottage. It has everything you need and is so comfortable, clean and tidy. We didn't want to leave and will be returning as soon as we can.